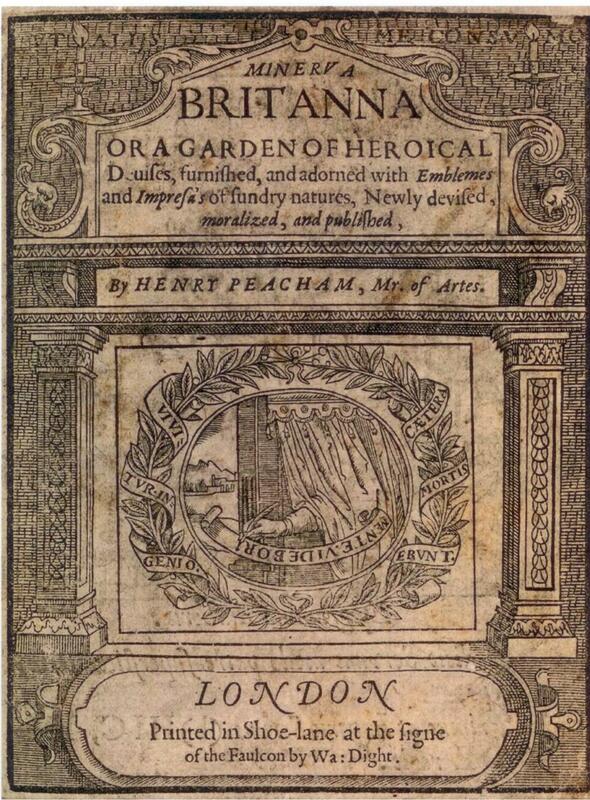 "Minerva Britanna" by Henry Peacham, Master of Arts (1612) - "Or a Garden of Heroical Devices, furnished, and adorned with Emblems and Impresa's of sundry natures, Newly devised, moralized, and published." MENTE.VIDEBORI — “By the Mind I shall be Seen” — the identity of this writer is hidden and therefore exists only in the mind! The upside-down inscription indicated a hidden meaning; and Eva Turner Clark in 1937 saw it as a Latin anagram reading TIBI NOM. 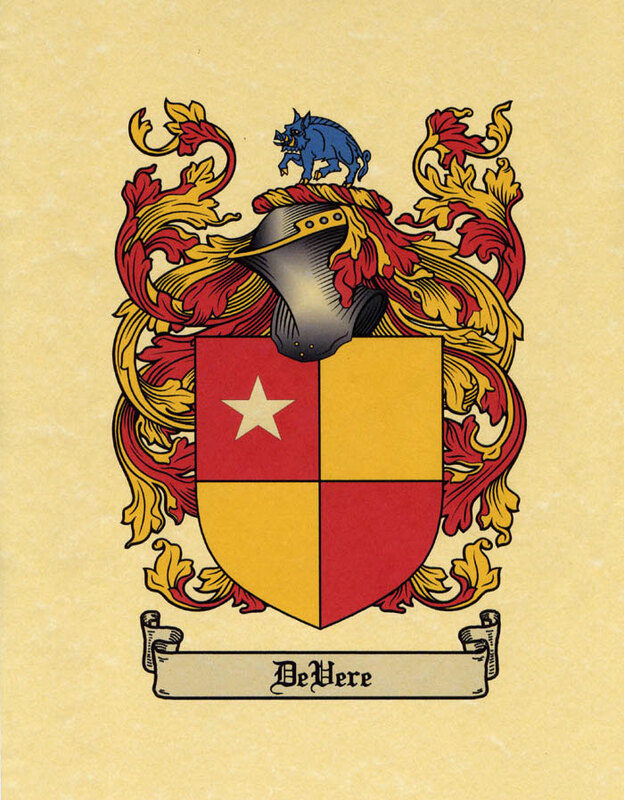 DE VERE or “The Identity of this Author is De Vere” – that is, Edward de Vere, 17th earl of Oxford. 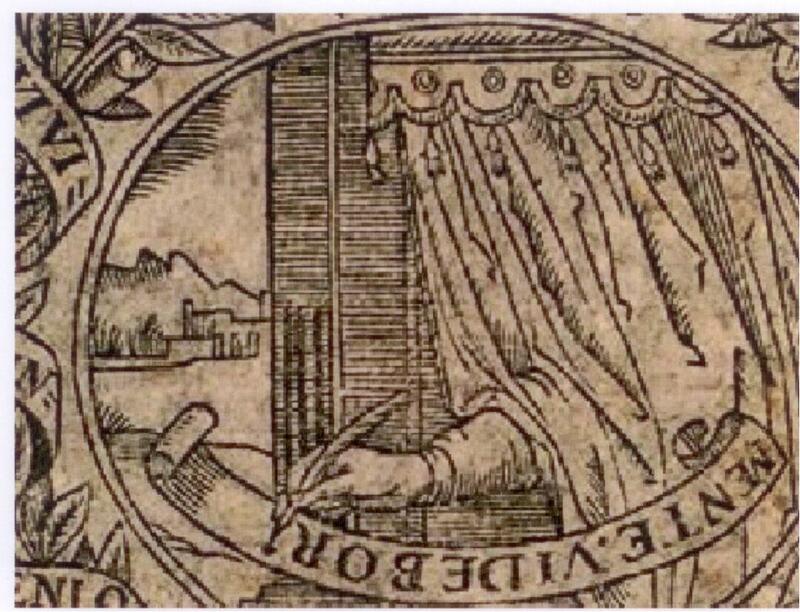 A closer look reveals that the “dot” in the inscription has been placed right between the “E” and the “V” to create E.V., the initials of Edward Vere. Oxford’s death is recorded as occurring on June 24, 1604, the same year the authorized and full-length version of Hamlet was first published, after which no new authorized “Shakespeare” plays were printed for nineteen years, until the First Folio of his dramatic works in 1623. Ben Jonson and George Chapman were “still living” and “well-known” as writers in 1616, so Peacham did not name them – but although William Shakspere of Stratford on Avon had died back in 1616, The Complete Gentleman is utterly silent when it comes to “William Shakespeare,” the writer to whom the greatest credit must be given for that “golden age” of Queen Elizabeth; and at the head of the list, where the name of the Bard of Avon should be expected, he placed Oxford’s name instead. Henry Peacham (circa 1578-1644) must have known that Oxford and “Shakespeare” were one and the same. And it appears that Peacham had been interested in the theatrical world early on, because a surviving sketch of a scene of Titus Andronicus, thought to have been made in 1595, was signed “Henricus Peacham” – generally identified as the man who would go on to produce Minerva Britanna of 1612 and The Compleat Gentleman of 1622. Peacham would have been about seventeen when he drew the sketch. In the scene, Queen Tamora is pleading for the lives of her two sons; at right is Aaron the Moor, gesturing with his sword. 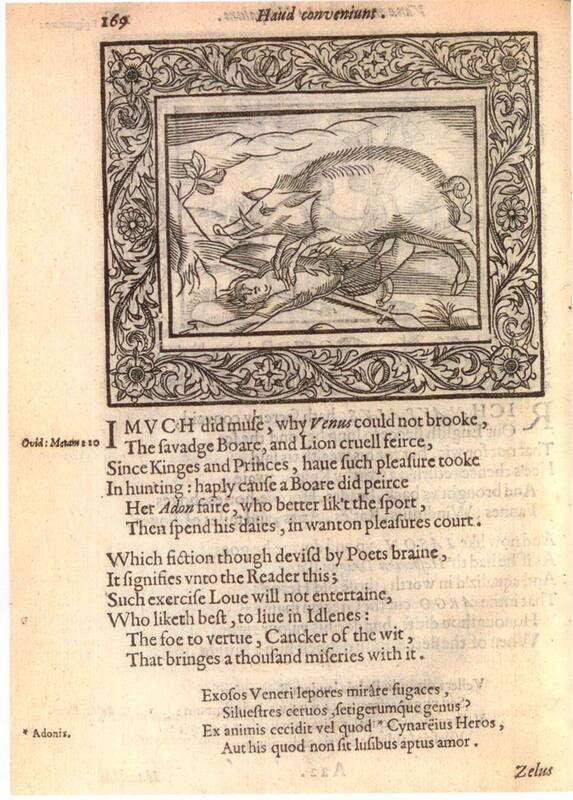 Oh, yes – in Minerva, one of the emblems shows a boar, which plays a crucial role in Ovid’s story of Venus and Adonis as well as in Shakespeare’s poem of that name, published in 1593; and the boar was also Oxford’s heraldic symbol. Was Henry Peacham bringing “Shakespeare” and Oxford together on the same page? In any case, such is Reason No. 18 in terms of evidence that Oxford was Shakespeare.